Why does an ice cube melt in a glass of water? Ben - I regret that Dave Ansell isn't here because he would give us a wonderful and distinctive answer in his very individual style, but I'm going to give it a go. I'm not a physicist, but what I think happens is you get an equilibrium between molecules of water that are frozen in the ice and molecules in the water, and they will move back and forwards. So constantly, you get these molecules that are becoming water or forming back into the ice structure. This equilibrium is temperature dependent. 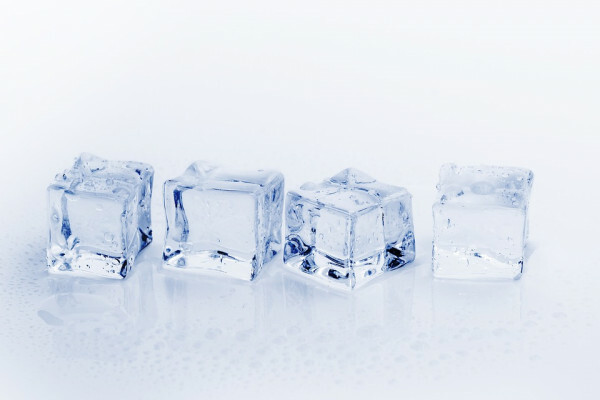 So, when it's above a certain temperature, more of these molecules are going to come out of the ice structure and into the water structure, and this means in total, you'll get less ice, more water, and eventually, the ice cube will melt. Now of course, the interesting thing is looking at the fact that because of the density of ice, if you put an ice cube in a very full glass of water, so much of it is floating above the surface that when it melts, your glass of water still won't overspill. Helen - It's actually a really important question as well, not just through ice in our glasses, but ice in the sea and why that doesn't melt or when it does melt, and how that will cause or won't cause changes in sea level as well. So I think that's a really, really big question from what sounds like something that's just about having a nice cool drink on a hot day. Actually, it's got really big implications for all sorts of things going on in the natural world. Previous Could you grow bacteria on an iphone? Next What will happen to a marble dropped down a core through the Earth? How are cryovolcanoes different to magma volcanoes?